Organic Fiji | Papyrus Watch - Exposing the overuse of the Papyrus font. 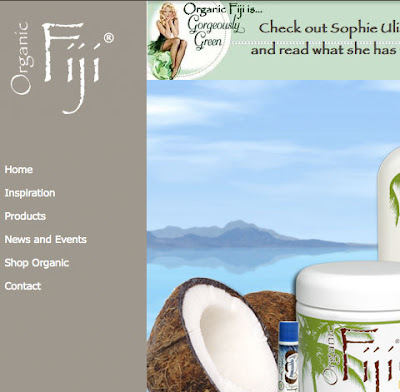 Andrea nabbed us a screenshot of the Organic Fiji website which sells organic lotions and soaps and things. Check it out if you want a tropical Papyrus overload. Another point for the organic tally. Although this isn't the usual organic food, this pineapple coconut soap sounds like you could actually eat it...but that's what I thought about those Rialto Naturals soaps and well, probably just don't eat any soap.